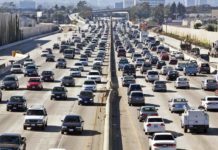 Do Americans love their cars too much? Even as a car lover myself, I would argue yes. There is no other explanation for our behavior. Most of us who wouldn’t consider financing furniture or appliance purchases will take out a loan to finance our vehicles without a second thought. Every time I fill out an application that inquires about my family’s finances, there is always a section that asks how much my car payment is. Ever since I bought my first car, my answer has always been the same: zero. Yet, I invariably see friends and co-workers driving around in new cars bragging about the great terms they got on financing. As you will see, great financing is always an illusion and you actually should never borrow money to buy a car. Cash is still king when it comes to purchasing your car. Auto makers love to attract customers with financing offers that sound spectacular. One or two percent APRs are popular and zero percent offers are sometimes even options. The one thing many people forget, however, is that all of these offers come at the expense of a higher price. Read the fine print and you will most likely see that there is a rebate offered to buyers who decline financing. But even in cases where that’s not explicitly mentioned, you will always be in a better position to utilize effective negotiation strategies when you bring cash to the table. A mortgage on your primary residence and a student loan can both be great deals because you can deduct interest payments from your income and pay taxes on a reduced amount. However, there is no such tax deduction on automobile loans. We all know how a car depreciates by thousands of dollars the moment you drive it off the lot. From then on, you are far more likely to owe more on the car than it is worth. Being upside down on a car loan is in many ways just as bad as being upside down on your home mortgage loan. In both situations, you are paying more for something than it is worth. And although a home may someday increase in value, this can’t be said of the majority of cars on the road today. While most people simply assume that they will make a car payment every month, imagine what you could do if you never had that obligation. You could save for retirement, afford a larger home, or simply increase your discretionary spending. Don’t forget that when you make a car payment, you are paying interest. Instead, why not save your money to buy a new car with cash and earn interest at the same time? Since my wife and I both own our cars outright, we have fewer monthly expenses. Should we lose our incomes, our safety net will last longer than it otherwise would have. In fact, when I envision a doomsday scenario where I am out of work for an extended period of time, I could even sell my car and use the proceeds towards my family’s financial survival. With a car loan or lease payment, I would be in a much more difficult financial position. Buying a car with cash and selling it years later really makes you understand how a vehicle depreciates. But when you finance the purchase, this becomes less apparent. If you’re like most people, when the car is paid off, you’ll trade it in as a down payment for your next vehicle and begin the cycle all over again. This makes it harder to look at your car purchase for what it actually was: one of the most expensive things you ever bought that then lost tremendous value over the time you owned it. First, you must let go of the need to drive the latest and greatest vehicle, even if you live in an image-driven city like Los Angeles. A car is merely a tool to get from one place to another. Frankly, it is just another thing that you own and not worth going into debt over. Next, you have to realize that there are plenty of really fun, reliable, and safe used cars available for far less than you might think. Even if you love cars, there is still probably something you can live with in almost any price range you can afford in cash. If you don’t have enough cash to make the purchase, be patient. 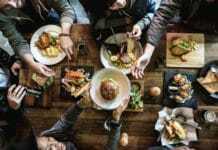 Save more money faster by sacrificing small luxuries like eating out multiple times a week. Additionally, take on part-time work from home to complement the income from your full-time job. Make a budget and plan. Once you’ve saved enough for the purchase, you can give up the part-time job or go back to eating out every week if you want. But the last thing you want to do is deplete your nest egg to buy a car with cash. To find an affordable car within your means, you may have to slightly lower your expectations or consider the option of buying a used car. Many people will need to pay off their existing loan before they can begin saving for their next car. Once you own your car outright, a great strategy is to save the money you would have otherwise spent on a car payment for your next car purchase. When the time comes to sell your car, you can then add your savings to the value of your existing vehicle and begin looking for a car in that price range. The good news is that as cars get older, depreciation slows, especially if your car has been well-maintained. In other words, you don’t lose much value by keeping the car longer, and you can significantly pad your savings during that time. Thus, you can afford more car when it comes time to replace it. You may have gotten into the car loan cycle because you originally couldn’t pay in cash and needed transportation. But you need to break out of this habit. Saving for big purchases and then paying cash for them is not only a smart financial move, but it brings along with it a certain pride of ownership and awareness of the value of money. There is no rational explanation for why people who can save money would gladly borrow money to buy a car. Their decision is often uninformed or purely emotional. Yet emotions and a lack of information do not direct sound financial decisions, especially when it comes to large purchases. By making a few adjustments in your spending or saving habits, or your attitude about what kind of car you need, you can ultimately free yourself from the endless cycle of car payments. 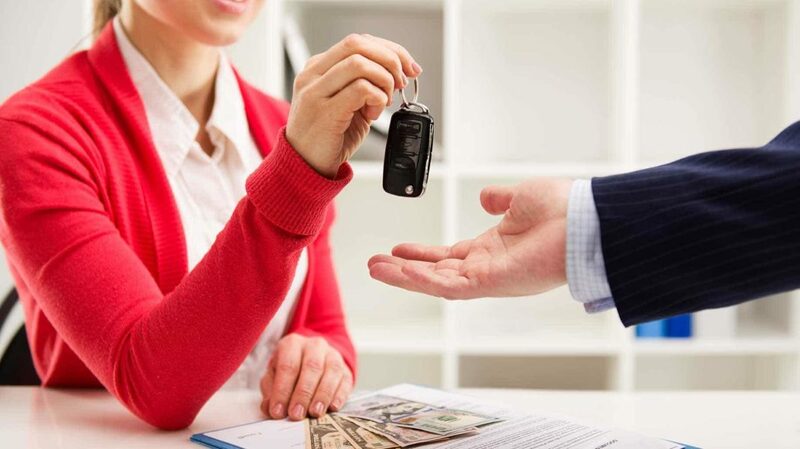 Do you plan on buying your next car completely with cash? Why or why not?